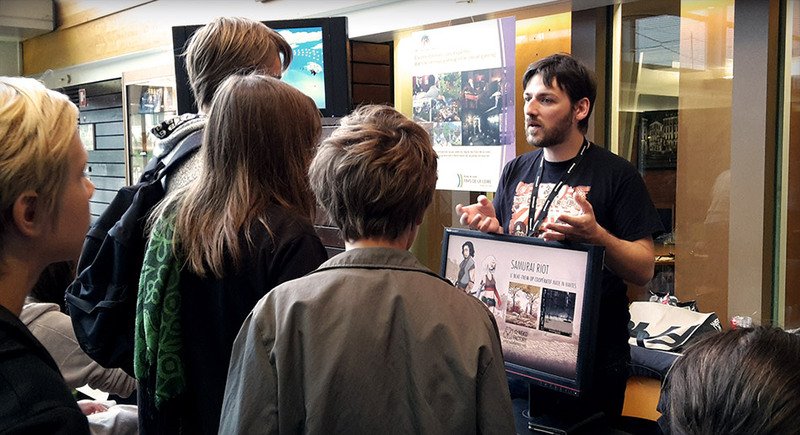 Art to Play 2014 is over! 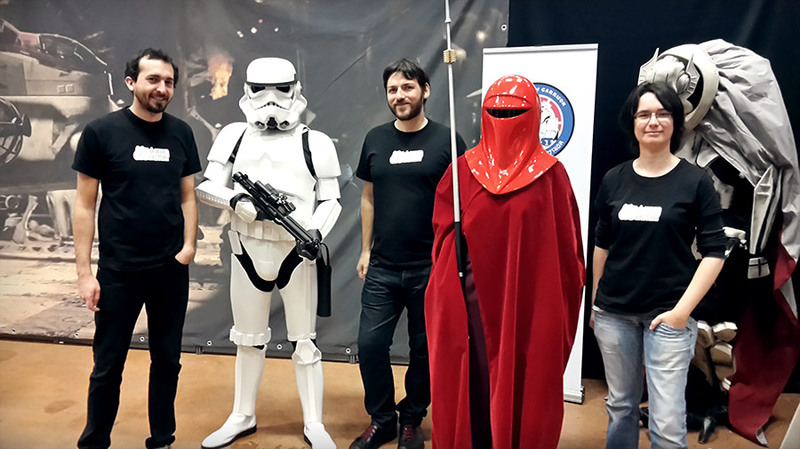 It was this weekend and many of you came to see us. A great big thanks to Marcus who overcame exhaustion and took the time to discover the project ; to the Art to Play staff and the Rally Point association members who paid very special attention to us. 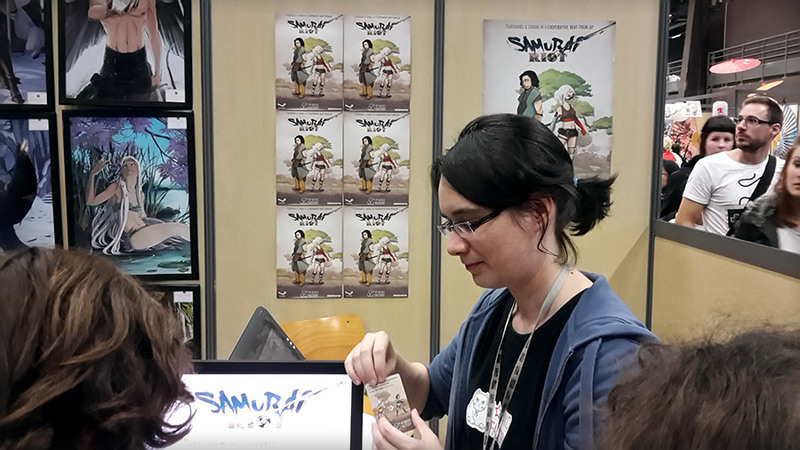 And of course, thanks to all of you, who came to meet us and talked about Samurai Riot, your support is a really huge help! 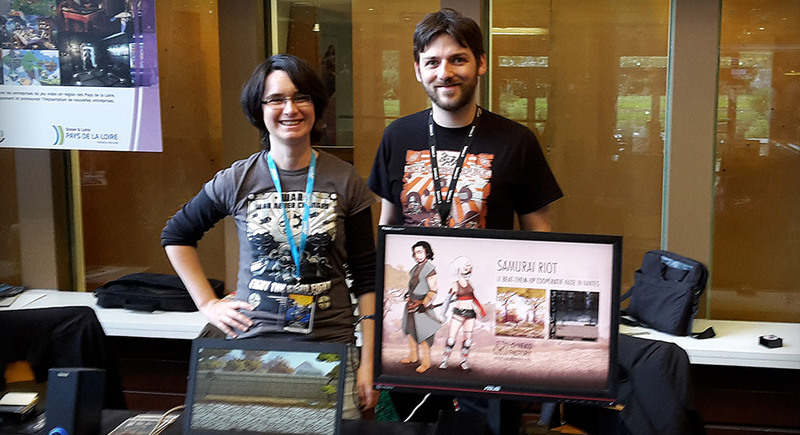 See you very soon for some news about Samurai Riot! We’ve waited for a long time and IT HAS ARRIVED AT LAST!! This absolutely great work of identity has been carried out by the duo Düne & Sosoa. 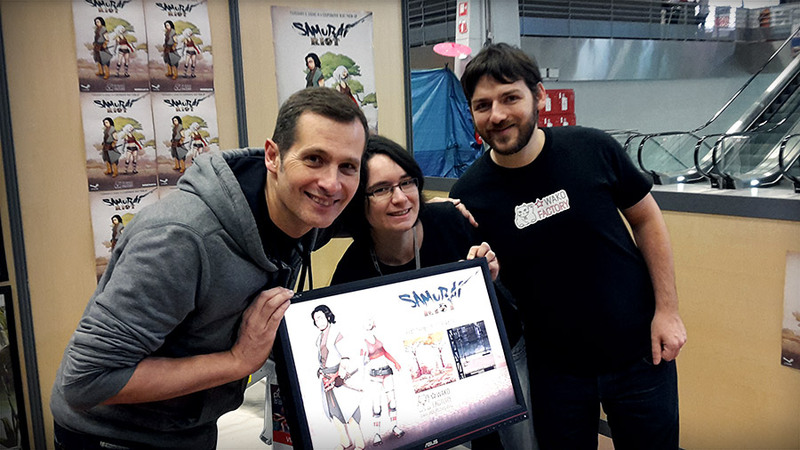 Wako Factory will be present at the “Art to play 2014″ game convention this week-end! Two exhibition stands will be set up so as to represent Wako Factory there. You’ll be able to meet our illustrator in the artists’ stands area where she will perfom a live digital painting of one of the ennemies in Samurai Riot. 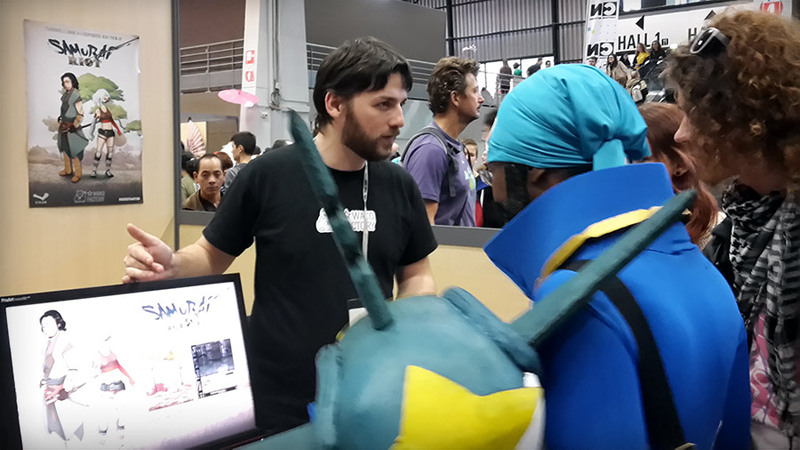 Our game designer himself should be present on the Rally Point Association stand, in which number of French inde video games are going to be shown. Other members of the team will be present too, depending on needs, and we DO hope to meet many of you!! We are pleased to announce you that Neko Factory exits from its “amateur” project status to become quite a real enterprise. For this reason, we have decided to give a pet name to our mascot (the cat from our logo) and it becomes our company name as well. So Neko Factory is turning into Wako Factory! This change has already been impacted on our whole site and articles : don’t be surprised at the adjustments made on these various supports. So the new address of our site is http://www.wakofactory.com ; please make sure to change your favourites. (but the old address may be accessed for a while). This time we’re going to talk about another playable characters: Tsurumaru. 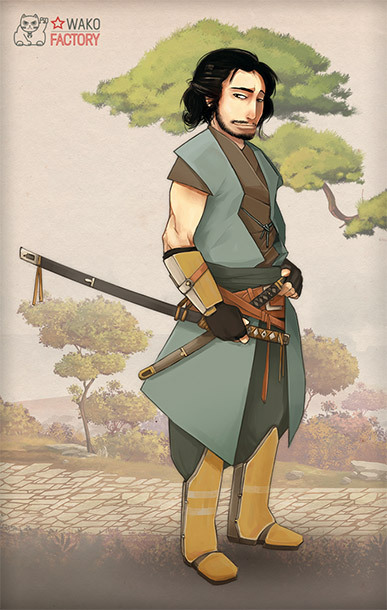 A Samurai who takes the bushido code to heart, Tsursumaru has a strong sense of honor and duty. In search for mastery till perfection and in respect of the way of the sword, his technique in this martial art is certainly the most important thing for him. However, he is ready to sacrifice his own life when he has to serve his master or protect his family and his honor. Among all those valors, which one is the most important? How will he react when he has to make his choice? Will he be able to conciliate family, duty and honor? It’s done! Utopiales 2014 are now officialy over. 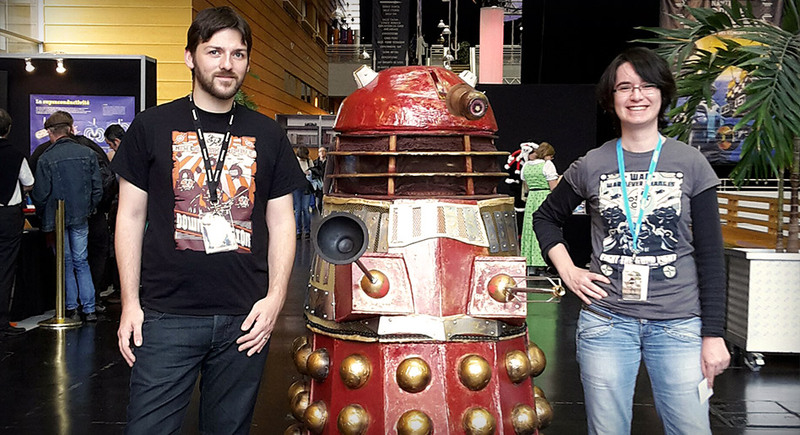 Those four days of convention were great and we met a lot of interesting people. A big thank to Atlangames which helped us to be there. We also want to thank all the people that came to visit us and follow us on social network. Your support is very appreciated and we hope we will meet again soon. 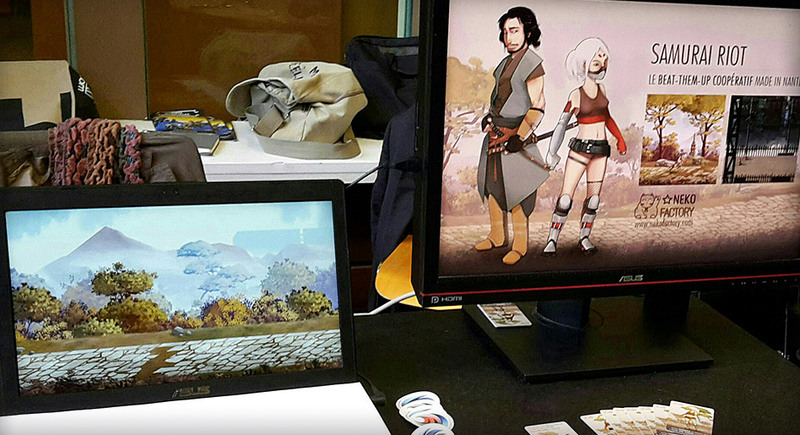 By the way, we will be at the “Art to play” convention at the end of the month, we’ll talk more about this in the next few days.